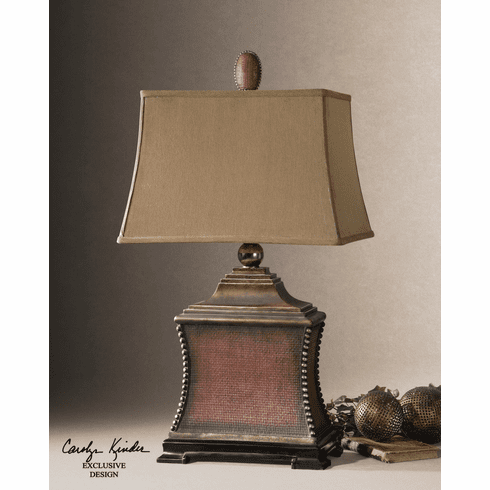 A streamlined Masculine lamp with interesting edging. Aged red finish over a woven textured base with antiqued silver beaded accents, matte black foot and heavily antiqued gold details. The rectangle, semi bell shade is a silkened, rust taupe textile.